As a teacher, I have created and collected hundreds of documents over the years, ranging from worksheets to lab experiments to tests and quizzes. I would store them both on my home computer and on a portable flash drive to take to and from school. Thankfully, I never experienced a loss of the small and potentially elusive thumb drive, but I have begun to think about alternative arrangements, especially as my access to the Internet has become so widespread. There are several online storage options out there, though I will focus on the one that I have used for at least a year now. Dropbox is very easy to learn and even simpler to setup. Essentially, you have an online storage site where you can keep up to 2GB of files for free. Of course, there are paid upgrades available, though you can get an extra 250MB for free if you sign up through my referral code. Where Dropbox really excels is how you can access your files. 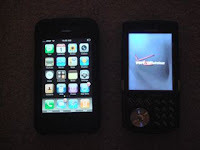 I have a Mac and PC at home, a PC at work, an iPhone now used as an iPod, and a Droid X smartphone. Guess what? I can access any file in my Dropbox folders on any of those devices. Plus, whenever I add, delete, or modify a file on any of those devices, the change gets synced on all devices. Before I this begins to sound too much like a sponsored post, I can offer real world observations in that the system does work, and it works quickly. I love not having to think about which file version is the most recent, and how I can rely on the syncing capabilities. OK, it still sounds like I'm getting paid there. One major reason I have not chosen to rely solely on Dropbox is that because it is a cloud service, you need to be connected to the Internet in order to sync. As we get closer to living in a totally connected world, this becomes less of an issue. In all of the places where I use the devices mentioned above, I will most often have an Internet connection. Still, there is something reassuring about having the documents on the flash drive and being able to quickly plug in and use, especially when working with other teachers in their classrooms. Also, I have not shifted all of my documents due to the current limit in free storage (2GB). You can get more by signing up friends (up to 8GB), but anything beyond that, and you're looking to pay $10/month (for 50GB) or $20/month (for 100GB). At this point, I'm OK with somewhere between 2-8GB, but if I needed more, I would not be interested in additional monthly subscriptions. Again, Dropbox is just one of many online storage options. I recommend it to teachers as a backup option for documents, as well as a possible alternative to the USB drive. Its seamless syncing and availability on so many different platforms make it a strong leader in the increasingly crowded market. 2/4/12 Update: This may be old news, but I just found out that you get double referral bonuses if you're a student or staff member with an .edu email address. I entered my NU faculty account, verified, and just like that, I went from 3 gigs to just under 7.0 GB. Also, if you haven't already done so, another way to get 250 easy megabytes is to go through the "Getting Started" Tour. Finally, if you're interested in their beta product for photo uploads, a potential 5GB upgrade could be in your future. Thank you Dropbox! Great review of Dropbox. 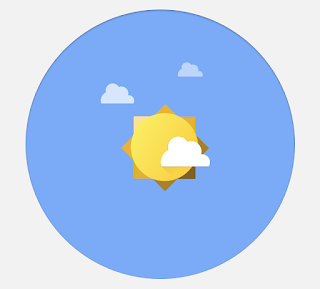 I use it for docs that don't fit neatly into the Google cloud. I like to stick temporary items on my desktop so they're easy to find (and I won't forget about them). You can use Symbolic Links (Mac) or the Junction utility (Windows) to sync desktop items, too. Just create a folder in your Dropbox folder called Desktop and symlink it to your actual Desktop folder found elsewhere in the filesystem. Or not. Just an idea. Thanks for commenting. You've got a great idea here, and it fits well into my philosophy of keeping my desktop clean. Great tip! Excellent information for Dropbox. As what you said, Dropbox is very convenient for online users, It may cause some influence to the development of usb flash drives. Thanks Will - I agree. Perhaps, we'll see a combo wireless adaptor/usb flash drive in the near future? I have fallen in love with Dropbox the first time I saw it, Personally,Though there are many users don't know dropbox, I dare, dropbox may be a good replacement of usb flash drive in the furture! @Keonakent: I agree - Dropbox is a great tool, and I'm confident that more would use it if they know about it. Thanks for commenting. Personally,Dropbox is very convenient for online user, especially for those office workers. There are many advantages for us to use dropbox than usb flash drives. Thanks for commenting. There are definitely uses for office/corporate workers. And with the multiple platforms available, you can access your files anywhere. I'm a general office worker.Personally, I prefer using dropbox than usb flash disk, because it's more convenient for my job than usb flash drive. Just saw your review of dropbox and wanted to share another option that is educator specific. www.ebackpack.com is very similar but has more teacher specific functions. Also, signed up for your RSS, thanks! Thanks Drew. I'll be interested in seeing if that option develops. As of now, though, I can't say that I'd recommend it due to lack of pricing, features, and functionality.